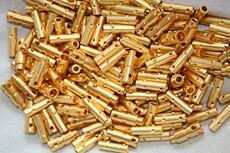 We buy all types of gold plated materials and pay you for their gold plating. See what other computer scrap has value and what we buy. 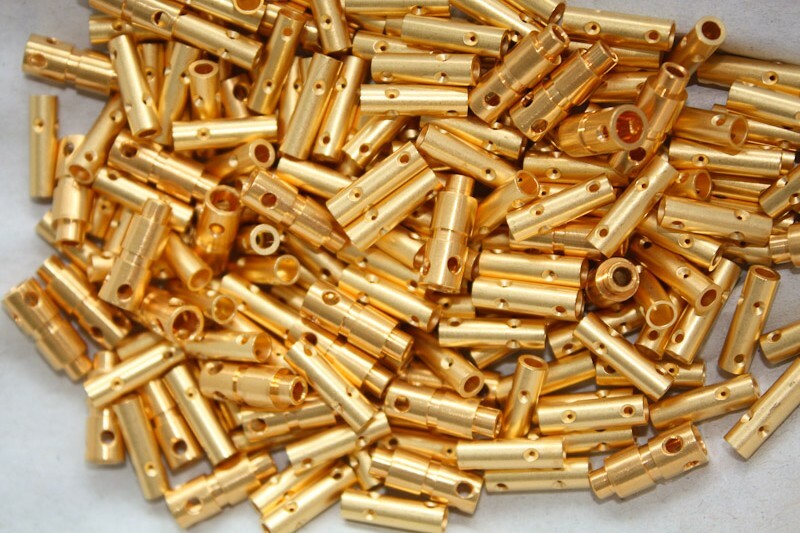 Gold plated materials are among the most value dense of precious recyclable material. There is typically a very high gold content to weight ratio, and that gold is fairly accessible. This means that your shipping costs will be much lower, the amount of gold that we can recover and recycle will be higher and the processing expenses will be lower. All together, gold plated material will give you the best bang for your buck. Some of the many gold plated materials we recycle are: gold plated connectors, gold contacts, gold terminals, gold plated fingers, circuit board fingers, processor pins, IC’s with gold plated pins, loose plated pins, gold and platinum plated electrodes. 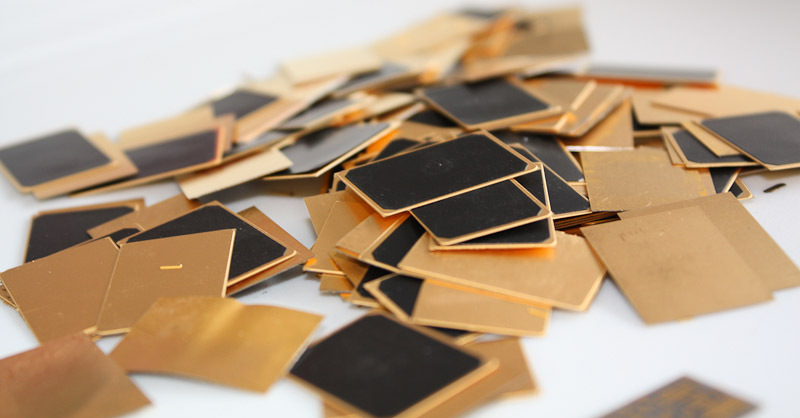 We can recover gold from manufacturing defects, blanks and refuse such as circuit boards, gold plated wire, processors, telecommunication equipment. We also recycle gold on plated jewelry, gold filled glasses, gold plated rings and gold plated watches. To get started, please contact us, or send us details about your plated pins for a price estimate and shipping arrangments. 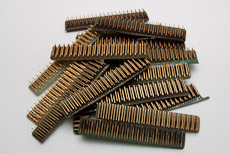 The minimum shipping quantity for shipping pins is 5 pounds to ensure your profitability. 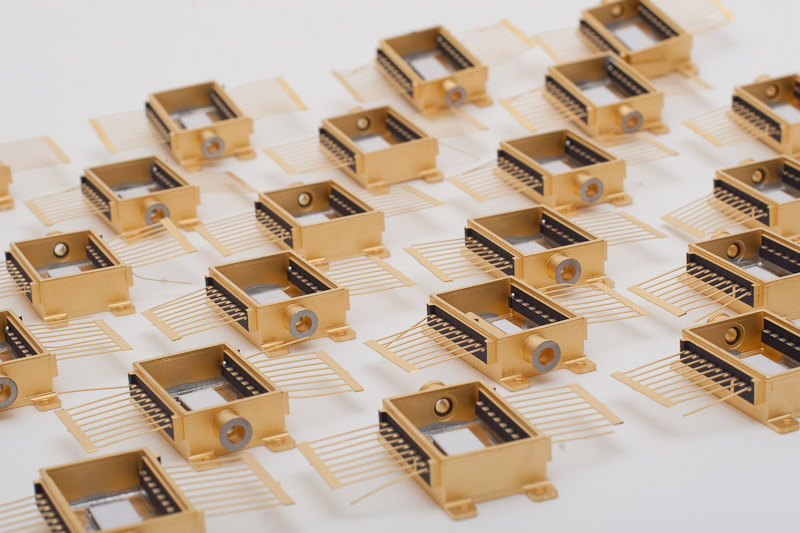 Many materials, particularly connectors, are platted with gold because it offers superior physical properties, notably resistance to corrosion and excellent conductivity. Most connectors are plated with a thin layer of gold; solid gold connectors are rare. The thickness varies greatly depending on the type of material and its grade. 15 to 45 microns is typical. 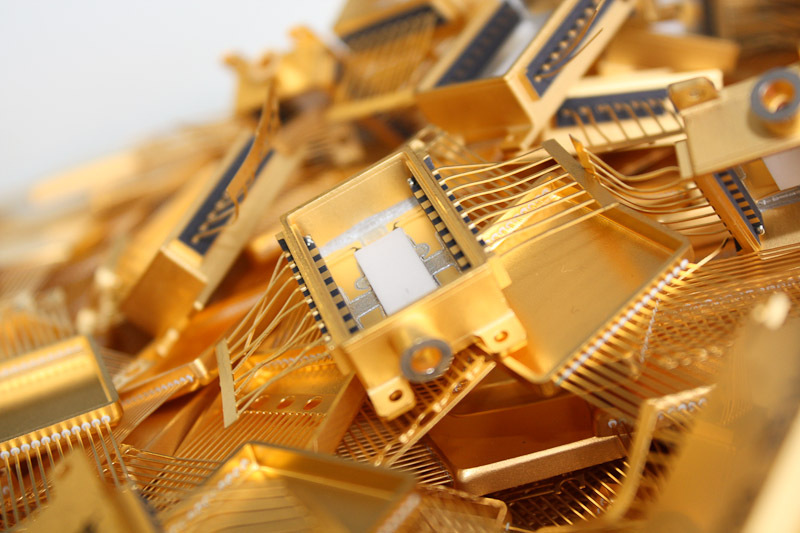 As with all E-Scrap, pins from older boards, or from high performance applications (such as from military, enterprise or telecommunications equipment) are typically coated with more gold. 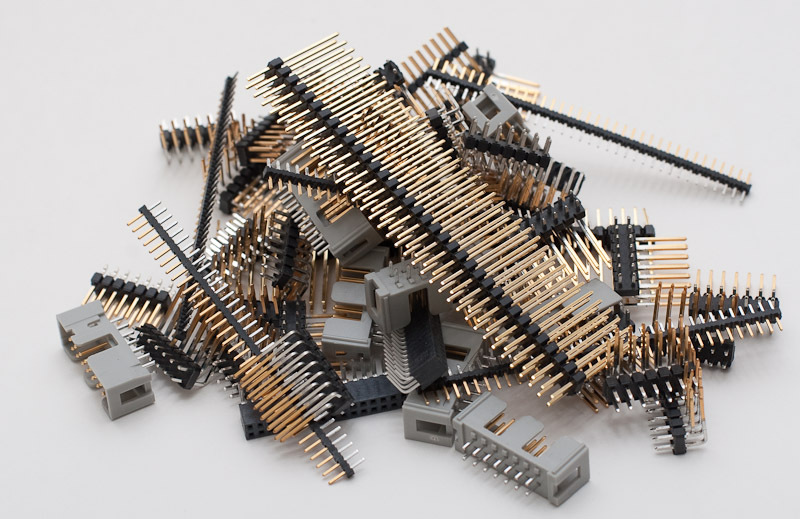 Many of our customers have acquired their plated material (pins in particular) by disassembling electronics (such as PCs) and pulling the connector pins out separately. Many people work a little bit each day to accumulate a few pounds of pure pins. This is a great strategy because the bare gold plated pins give them a bigger payout than if they sent us the whole assembly. The pins are easier for us to process and cost much less to mail because you are not paying to ship the worthless plastic and rubber parts. 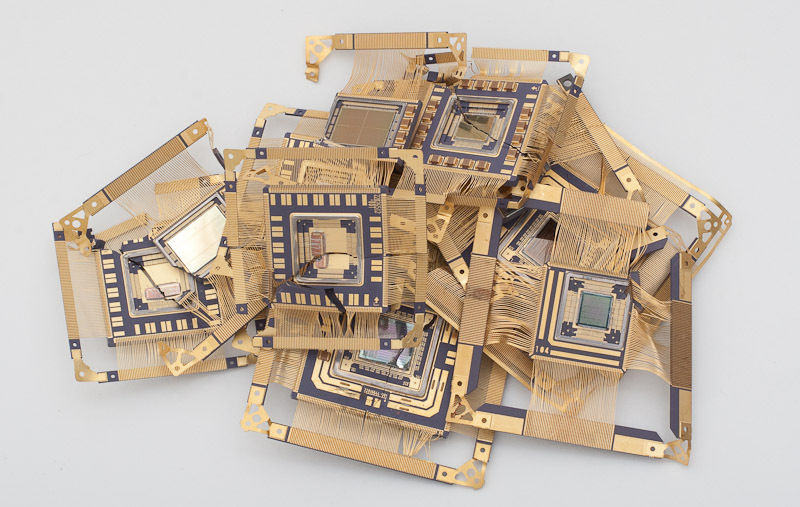 Pile of unfinished processor cores. 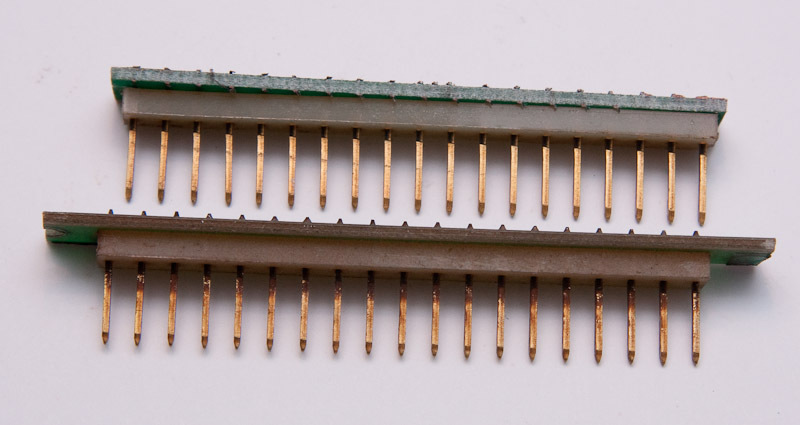 These are worth more than processors would be because they have extra plated connectors and no substrate to dilute the value. Unfinished Telecommunications Equiptment. These appear to be fiber optic pick-ups.